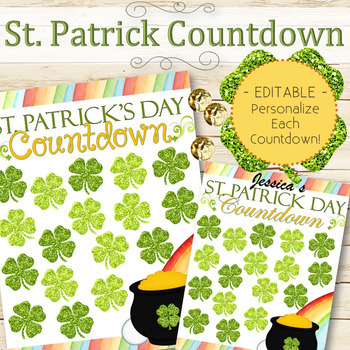 Count down to St. Patrick's Day with this fun and editable chart! 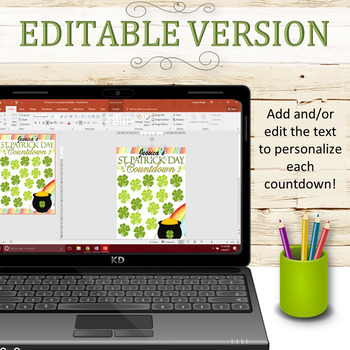 Simply add candy or coins to the 17 shamrocks for a festive way to get ready for the holiday. Comes in an editable PowerPoint format. Available instantly upon completion of payment. Thanks for stopping by!